Provide comfort for the family of Arlin King with a meaningful gesture of sympathy. 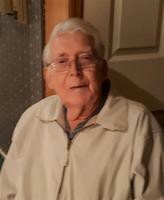 Arlin Ernest King, age 85 of McMinnville, Tennessee passed from this life on Wednesday, March 27, 2019, at his home. Born Sunday, August 13, 1933 in Altamont, Tennessee, he was the son of the late Hill King and Callie King. In addition to his parents, Arlin was preceded in death by his three sisters Josephine Eubanks, Ruby Tate and Louise Beard. A Funeral service will be at 11:00 AM on Friday at Gardens of Memory Funeral Home located at 415 North Chancery St. McMinnville, Tennessee 37110 with Tom Fittis officiating. Interment will be in King Cemetery, Grundy County, TN. The family will receive friends from 4 to 9 PM on Thursday, March 28, 2019, and again Friday from 8 to 11 AM at Gardens of Memory Funeral Home, 415 North Chancery St., McMinnville, Tennessee. To send flowers in memory of Arlin Ernest King, please visit our Heartfelt Sympathies Store. We encourage you to share your most beloved memories of Arlin here, so that the family and other loved ones can always see it. You can upload cherished photographs, or share your favorite stories, and can even comment on those shared by others. Provide comfort for the family of Arlin Ernest King by sending flowers. We will never forget Bro. Arlin's sweet smile and shaking everyone's hand at church all these years. He was one of the finest men I ever met. We love each of you and pray with you for strength and comfort during this time of sorrow. One of my favorite memories of Uncle Arlin, was when my mom and I went to visit him and Aunt Neely at their new home. He walked around with us and told us, how he and Hershel had remodeled the house, before they moved in it. They wanted to keep the chimney, but raise the house up, off the ground. So that's what they did. He had such a wealth of knowledge. I just loved listening to him. And I can't ever remember him not having a smile on his face. He loved God, and God loves him. He will be forever missed, until we meet again. Love you Uncle Arlin. May the family of Arlin Ernest King please accept my sincere condolences hoping you find comfort in God's words at Acts 24:15 and Psalm 37:29.